Cochlear’s new Aqua+ waterproof sleeve for the Nucleus 5 and Nucleus 6 processors hits the water park just in time for summer! Ben Borhegyi demonstrates how to assemble the Aqua+, and gives us his first impressions and recommendations. Boxes with some Mic Lock-Stirrups, one Aqua+ Coil, a magnet for the coil, and two Aqua+ sleeves. You also get a safety line, which clips onto your clothing, swim cap, or goggle strap to retain the Aqua+ and your processor if it comes off of your ear. You can use this waterproof box to store and protect your headpiece and ear hook while you are swimming. 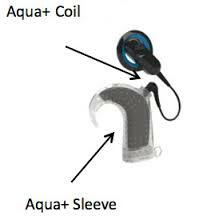 FAQs about Cochlear customer support about the upcoming waterproof sleeve for the Nucleus 5 and Nucleus 6 processors! Q: What is the Aqua+? Q: Is the Aqua+ waterproof? Q: Which processor(s) is it compatible with? and the Nucleus 5 CP810 processor with rechargeable batteries only. Q: Can I use my regular coil and coil cable with the Aqua+? all water types, while your standard coil and coil cable are not. Q: Can people re-use the Aqua+? results will vary depending on frequency, duration and type of use. To go from significant hearing loss to being able to hear significantly within the space of four weeks – the usual period between a cochlear implant operation and activation with the processor – is a life-changing experience for many. To then go from activation with one device to an upgrade to the latest processor for that device within three weeks was an equally life-changing moment for one London recipient. TB is an adult cochlear implant user who received her first processor, a Cochlear Nucleus 5 (N5) in summer 2013. Three weeks after activation, she was upgraded to the Cochlear Nucleus 6 (N6) and the article below brings together her experiences since activation with those of a long-term user of the N5 who has not yet upgraded to the N6, to allow comparison of the models for the purposes of this review. Both users are broadly similar in background and experience, being profoundly deaf from birth or infancy, and having grown up in mainstream education with good speech and lipreading skills. Both were motivated to obtain their cochlear implants through finding it increasingly difficult and demanding to keep up lipreading skills in their day-to-day lives. TB recalls “falling asleep through exhaustion” at the end of the day, while SC, a lifelong lipreader, found that she was forced to put in more and more effort to achieve the same results as she had had in her teens. Distilling experiences between users of the N5 and the N6 with similar backgrounds provides a comparable benchmark between users, their expectations, and their experiences between two different models of the same brand of cochlear implant speech processor. Both users found activation with the N5 an overwhelming experience, one that is common to many cochlear implant activations, regardless of brand or hearing history: it is in part attributable to the sudden access to a wider range of sounds than hitherto, rather than to the specific implant itself. Their reactions were surprisingly similar: “I hated it and thought to myself, what had I done?” (TB) and “So this is how hearing people hear, my goodness, I don’t know if I want to be part of this world!” (SC) Both adapted remarkably quickly to being able to hear again, and it appears that for TB access to the N6 has accelerated this process of adaptation. TB exchanged her N5 for an N6 three weeks after activation, and reported an immediate positive response to the change in processor that seems to go beyond the changes expected at the key stage of mapping 1 month post-activation. (For comparison, at 1 month SC was given the basic map that she still uses for everyday purposes.) In particular TB reported that the automatic scanning of environmental sound as part of the N6’s new processing strategy (which is described in more detail below) significantly reduced the noise levels of a busy London street. Prior to this point she felt that she had been struggling with ‘loud noise syndrome’ in which she felt that her voice rose above the surrounding noise level, and the impact of the new strategy returned her voice to normal levels, much to her relief, as she was no longer straining to hear herself. The N5 CP810 sound processor has dual microphones alternating with dual control buttons across the top of the processor, with an accessory port hidden under a flap. 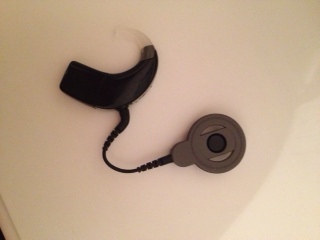 The size of the processor can be modified to suit the user through battery choice, with three interchangeable battery options: a standard sized battery cage holding two cochlear-implant specific disposable batteries, and rechargeable lithium-ion batteries offered in two sizes: standard and compact. It is accompanied by the CR110 remote assistant in white with a large user-friendly central button, allowing the user to cycle between programmes remotely rather than through the buttons on the processor itself. SC found this useful in toggling between programmes in the early days of activation, rather than using the buttons on the processor. It also permits individual settings of volume and sensitivity across all four available programmes: Everyday, Noise, Focus, and Music, which in the CP810 can be loaded individually or collectively with the proprietary SmartSound strategy. Everyday and Music are self-explanatory; Noise is intended to reduce the discomfort of surrounding noise, while Focus is intended to enhance speech discernment in noise. The remote assistant also allows a certain amount of troubleshooting via simple yes/no choice options to identify typical issues, reassuring for users (and which SC has only ever used twice in 3.5 years to solve simple issues). Programming is flexible, with the capacity to have four programmes based on the same map or to tailor the programmes according to user preference. For example, the Noise and Focus programmes can be discarded if preferred and replaced with Everyday and Music programmes based on a second map, thus having a choice of two Everyday and two Music programmes for different listening situations. In appearance, the N6 is very similar to its predecessor, with some minor modifications that result in increased comfort. The controls and microphone covers are also similarly disposed alternately across the top of the processor, with greater ease of use in the control buttons. There are two models, the CP910 and CP920: the difference between the two models is that the CP910 offers an accessory hatch similar to the N5 for direct input of cables from audio accessories such as mp3 players, etc., while the CP920 does not, leading to a size reduction in the CP920. Like the previous generation N5 processor, the N6 CP910 and 920 are both powered by a rechargeable lithium-ion battery or disposable battery unit taking 2 cochlear implant-specific batteries. Both compact and standard size rechargeable batteries are available in the UK. The compact batteries of the N6 and N5 differ very slightly in profile, the N6 having straight edges rather than being slightly rounded, shaving off a fraction of the size, up to 2mm in height. However, the batteries of the two are interchangeable using the same snap-on/off mechanism, which is good news for those wanting to upgrade and having significant life remaining in their existing N5 batteries. It is also good news from an ecological standpoint. The choice of a CP920 without an accessory hatch and powered by fractionally more compact batteries therefore reduces model size compared with the N5 CP810 in two dimensions, which is immediately apparent to the wearer. Most implant recipients will previously have worn hearing aids, which are nowadays extremely small: while cochlear implants do not currently match the small size of the latest hearing aids, the market as a whole is tending towards miniaturization of the external package. These changes, though cosmetic, represent a positive step forward in that direction for Cochlear and would be an attractive option for adults with small ears and for children. User comfort is an important consideration in encouraging implantees to wear their processors during waking hours to obtain maximum benefit. The processing strategies have been refined with a wider suite of programmes for different hearing and listening situations to suit the user, although the processor still has a capacity of four programme slots. The proprietary SmartSound iQ can be used as a programme in its own right, automatically scanning the ambient noise environment and responding with an appropriate selection out of six rather than four possibilities. This takes it beyond the previous generation SmartSound strategy on the N5, which could be layered across one or more programme slots to enhance that particular programme, but could not change the programme itself to suit the environment. The original four programmes appear to have been retained as part of the choice for the user, two of which have been renamed to reflect the role they play more accurately: they are: Speech (Everyday); Noise; Speech in Noise (Focus); and Music. They are joined by Quiet, in which soft sounds are highlighted, and Wind, suppressing ambient wind noise, and the Smartsound iQ programme will select from all of these within its own programme slot. Each of these choices is available as a programme in its own right on the other slots. 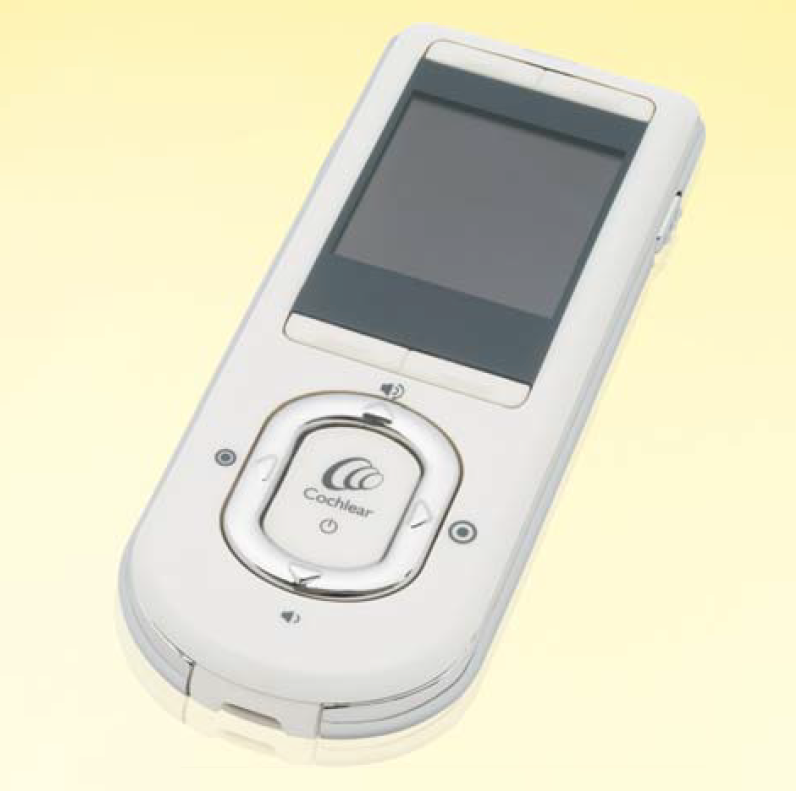 The CR230 remote assistant delivers the same programme selection and troubleshooting options as the former N5 model with a similar user-friendly large button, although it has been restyled and is much more mobile-phone like in appearance than the white N5 remote, and has a USB port for future data exchange capabilities. The smaller CR210 remote control allows simpler adjustments to be made and could be useful for children or the elderly. In tandem with the upgrade to automatic scanning, the N6 processor also differs from the N5 in that it also offers a data logging capability. 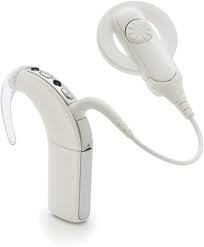 This can: show how long the processor is in use on a daily basis; identify to the audiologist which programmes the user prefers; and demonstrate noise levels of exposure, permitting the programmes to be tailored more specifically to user needs, again a refinement which reflects a wider trend in the cochlear implant world. These are lifestyle options and it is easy to envisage that someone who lives an outdoor lifestyle will, for example, appreciate the benefits of enhancing their maps to minimise wind noise. The ability to respond to the ambient sound environment in several different ways has enhanced the ‘new user’ experience for TB, who has only been activated for a few months. Her sound environment has altered radically from that initially rather unpromising start, so much so that she “finds the sound of light wind really rather relaxing.” That, in the end, is what it is all about: discovering the world of sound, all the myriad little things that hearing people ignore or take for granted. *One final aspect of the N6 cannot yet be reviewed – the advertised wireless capability which remains in development and is not yet available. It is understood that it will become available to current and new users via a software upgrade. Hence the title of this review: From N5 to N6, Initial Impressions to allow for a follow-up review. With many thanks to TB for her willingness to share her new user experiences and compare and contrast the N5 with the N6, and to Howard Samuels for his support and suggestions. Tamara Bunting is a researcher with a leading medical charity in London, UK. 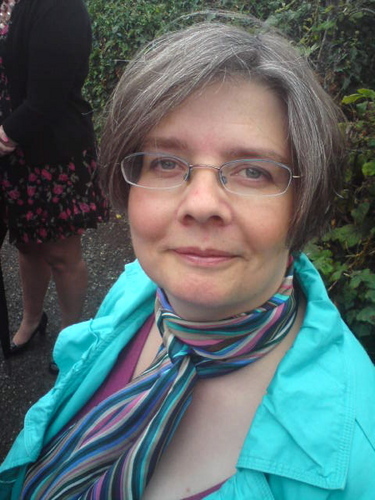 Serena Cant is a researcher in one of the main UK heritage organisations, and blogs regularly on her experiences of her cochlear implant, together with arts reviews and musings on being deaf, at deaflinguist.wordpress.com. Measurements in two dimensions taken and cross-checked by TB and SC, October 2013. Cochlear: SmartSound iQ and as reported by TB, October 2013. Personalizing maps even for long-term implant patients, has been a focus of recent research: for example, the recent Vanderbilt study. If you are in the US or Canada and receive an implant from Cochlear, you can trade in the Nucleus 5 processor for the new processor when it becomes available. Details here.